Do you ever feel overcrowded, frazzled and overwhelmed? Our busy lifestyles are so full these days that we often lose ourselves amongst the constant bombardment of expectation. If this feels familiar, then stay for a moment. 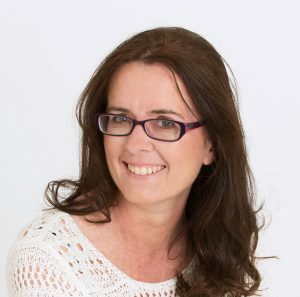 My aim is to share some tools with you for creating a little BREATHING SPACE in your life, helping to reduce stress and anxiety levels, calm your mind and get your vitality back. First though I just want to introduce myself so you know who I am and why I want to do this. I am Rebecca McKnight, corporate escapee, aromatherapist, botanical formulator and well-being advocate. I love light, space, sunshine, travel and vibrant colour, plus finding a quiet moment to relax even if it is just a hot bath, stroking a friendly cat, or enjoying breakfast in the garden. I have been passionate about the healing power of plants on so many levels since discovering aromatherapy many years ago; but I think my love started well before that, as a child. One of my most powerful memories as a girl is my grandmother teaching me how to recognise and use rose hips and other wild plants with medicinal properties. My mother too was a great lover of natural remedies and, nurtured by her knowledge and intuitive wisdom, I developed a desire to know more. Since then, I have been constantly drawn to the study of botanical ingredients for both nurturing the body and healing the soul, and have devoted much of my time over many years learning from some incredible teachers, qualifying as an aromatherapist, massage therapist and botanical formulator. In my own life, essential oils have helped me hugely during some emotionally tricky and pivotal times. As I have worked with the oils I have discovered their different personalities as well as their sensational scents. Each has a different effect on my mood from sedating to energising, while others provide a real sense of quiet strength and stability. Having some go-to tools to re-connect with a calm internal place is vital at the current pace of our lives. As an ex Retail Buyer, I am no stranger to the stresses of the corporate world. During a particularly difficult stage of my corporate life I wore a blend of Bergamot and Rose everyday for 2 weeks. The effect was magical. I can only describe it as my view of the world turning from black to gold, bringing with it a feeling of immense acceptance and brightness as if coming out into golden sunlight at the other side of a very long dark tunnel. Physically too – even though I love to travel light, I never leave home without a small selection of my favourites (some are amazing for jet lag!) and have a wonderful collection in a large wooden box for things such as insect bites or stopping a sore throat in its tracks. I love to share my passion. So many friends, colleagues and family members have all had ‘Rebecca’s potions’ uniquely created for them over the years and are still telling me how valuable they have been. Fascinated by the ancient wisdom of healers and the vast array of incredible plants provided so abundantly in nature, my aim is to share these powerful and beautiful tools for well-being in a way that suits our modern life-styles, starting right here with a blog filled with some practical tips, DIY recipes, and mindfulness techniques for finding your calm. I have also created a few blends to share with you. 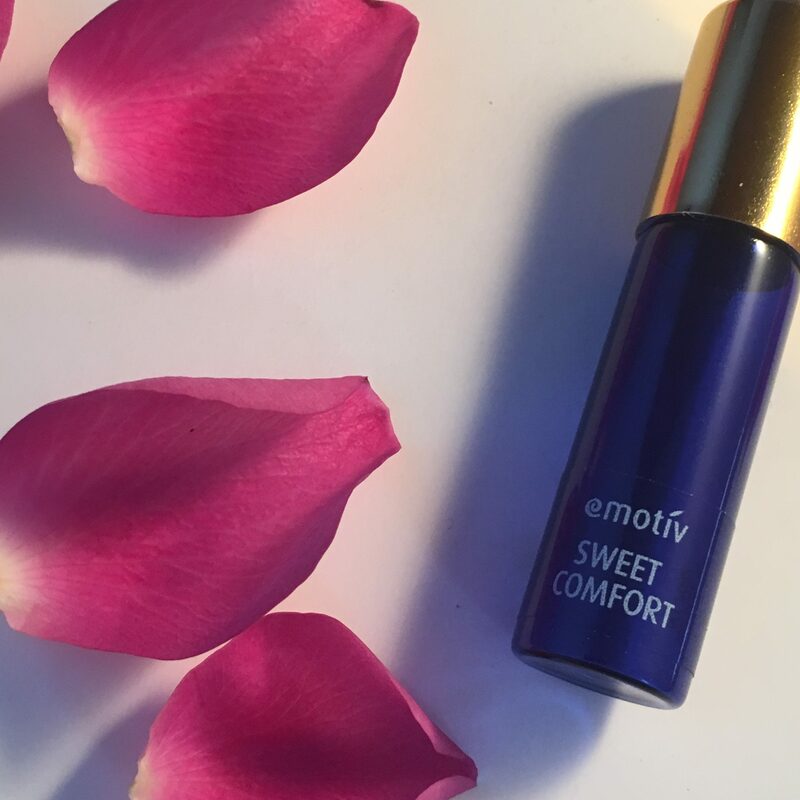 Emotiv Aromatherapy Mood Shots are little pots of potent plant power for a personal sanctuary wherever you are. Portable and easy to apply, they bring the power of aromatherapy to your fingertips, and are freshly made in small batches in the UK. 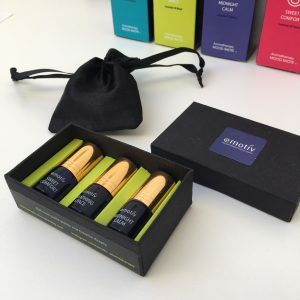 So whether you need an oasis of calm, a shot of energy, a moment of mindfulness or just to relax before bedtime, you can enjoy a momentary time-out ritual with these pocket sized roll-on potions whenever you feel the need. If you would like to be part of this journey of CALM then leave your details below. You will join my VIP email group where I share tips, tools and recipes to help find your own inner calm.